city over the course of the weekend. Those are some hot, hot shorts, girl! And adore those feisty sunglasses. Have a blast in NYC! loove the first photo ! you look pretty! love your red pants! suit you! In love with that sweater! 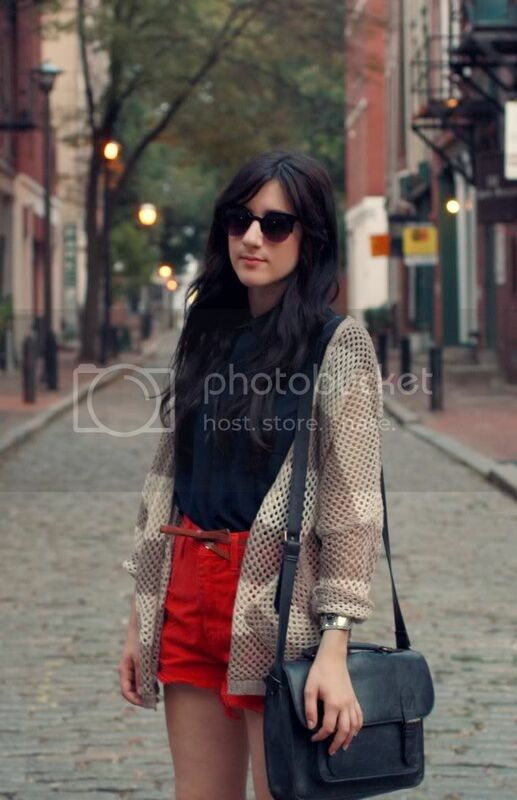 Great outfit, the sunnies are so cool. I love your sweater-so pretty! Have fun in NYC, can't wait to see your photo recaps! this is such a nice outfit! have a nice days ahead! NYC will be fun with all fashion week excitement! awesome look and your glasses ar super cool! so so so so so cool!!! new outfit on my blog: I'm waiting for u!!! adorable as always bonnie! have fun in NY! did i mention how much i love that you live in philly! its in one of my top places to live. love ur shorts!! it brings on a pop of color to ur outfit! Love this outfit...lovely combo of items, between the red hot shorts and the more modest buttoned-up blouse! Great look. Have a ball at fashion week...can't wait to read all about it. Such a perfect outfit !!!!!!! I love ur sunnies !!!!! such a fantastic pair of shorts - love the pop of red they bring to your outfit! you look amazing, love your red shorts!!! your oxfords look amazing, I need shoes like yours! Hi pretty! !how are you? ?ohhh i like red shorts! !i want one like yours!kisses dear!! Love those cute red shorts! You're so awesome! 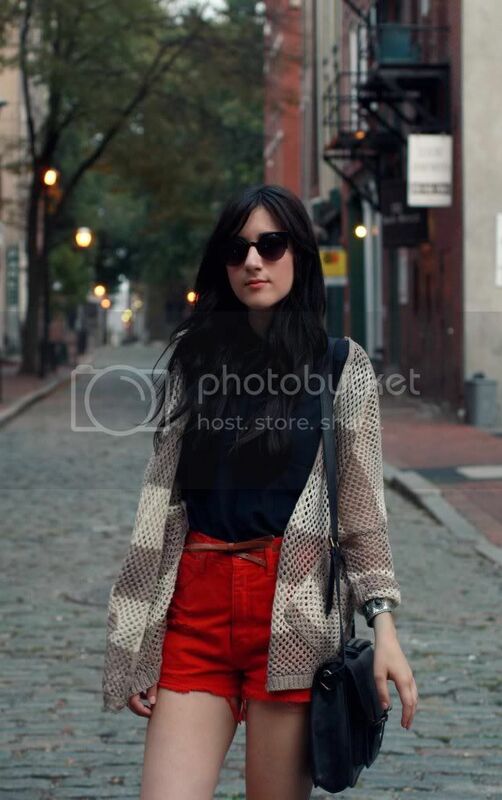 I love these glasses and that amazing cardi. Sounds like an amazing time ad good thing to look amazing and be comfortable doing it! I love the jacket and shorts! amazing sunnies! love your lipstick, looks so cute! your cardi looks super comfy! Love those shades and the blouse is gorgeous! That striped knit top is fantastic. Really sounds like a great weekend! Love your cardi looks so cozy! great outfit love the pop of color with the shorts! have fun! Love this outfit. The combo of the colors and textures is really awesome. So I live in Philly and a friend of mine told me about your blog (and even gave me the compliment that you remind her of me)! I was talking to her about trying to get an internship at Urban and she mentioned you had one. 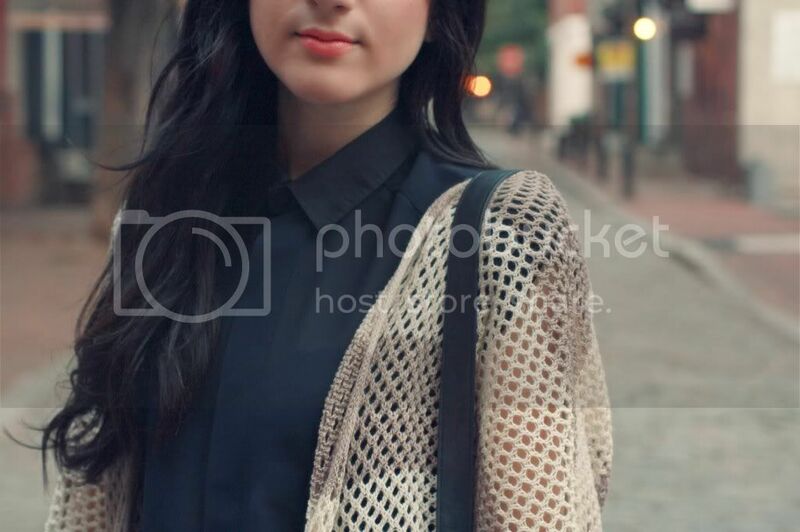 Anyways, I'm absolutely in love with your blog and your style! You inspire me so much! I don't know if you will ever read this or not, but I feel compelled to tell you. I look forward to seeing what you do in the future! I really like all the items in this outfit especially your bag. i love the red shorts and gorgeous collared blouse! anndddd i love dr. dog, saw em in fla last yr! This outfit is so adorable on you! Love the bright red shorts, and the laid back feel of this whole thing! So cute! Love your red shorts!! They look perfect on you! Hello, I love your look is so cute. super cute cardigan and shirt! loving this combo..
Oh yes! Thats a cool outfit! Great colours and loooove your sunny's! I love this sweater so much!! have fun in New york!! we are addicts of your blog !!! it is amazing and your style is just wonderful and very cool !!! I love the sweater ! The red shorts are awesome. That is all. I love love love that crochet sweater! I just wore a similar one in a post on my blog! Super cute! JCrew Giveaway on my blog! Such as a gorgeous outfit, LOVE your red shorts! :) This is kind of the outfit I dream of my self wearing at school looking super-cool and entering class fashionably late... :) Love your blog! (: I hope you have a wonderful time in NYC! I love the colour of those shorts, it really brightens up your outfit! cute outfit and love the red shorts! I love your cardigan. It's so cute, and your hair is gorj!! an amazing PERFECTION, incredibly awesome.. always sophisticated and extraordinary! Absolutely crazy for your marvelous work! 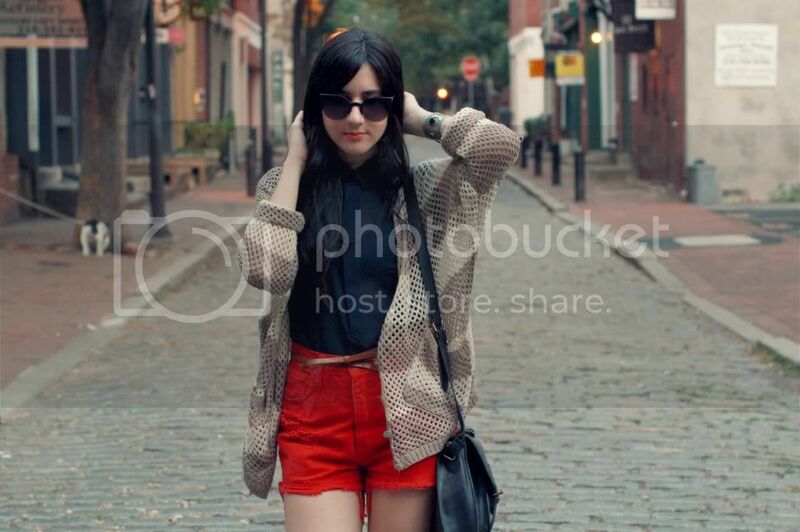 Love the cardigan and those red shorts. 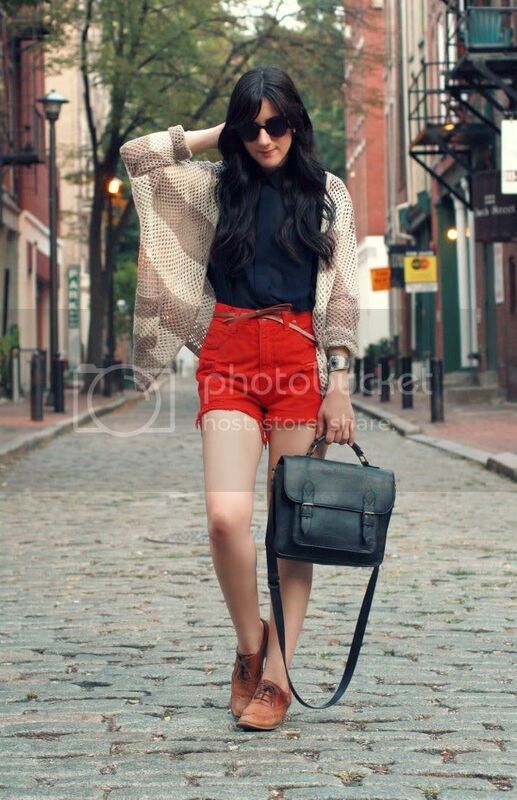 This is a great outfit for the transition from Summer to Fall! 100+1 comment! You are gorgeous! And I also love these shoes! Have a nice day! Great outfit. Love the red shorts and sunglasses. I like your style a lot !